BRAVO! Group Services is pleased to welcome Esperanza Rivera as our new Continuous Improvement Manager who will be serving our clients in the northeast region of the United States. Esperanza will be responsible for conducting Quality Assurance audits of our clients’ facilities to assure that BRAVO!’s highest standards are maintained and cleaning quality integrity is preserved. 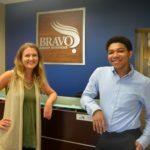 In addition, Esperanza will consult with Operations to resolve any service or safety problems as well as collaborate with BRAVO! employees and client representatives to mediate any unique quality issues as they occur. Esperanza comes to BRAVO! from ABM Services, where she served as Area Manager overseeing multiple customer sites and conducting weekly/monthly audits. 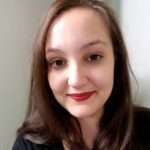 Her broad experience in the facility support industry includes training and staff development, implementing good safety practices, and managing budgets and costs to maximize profitability.